Alebrijes, ofrendas, and more Mexican cultural traditions in Coco, explained. Coco gets a surprising amount of the cutlural practices and references right. 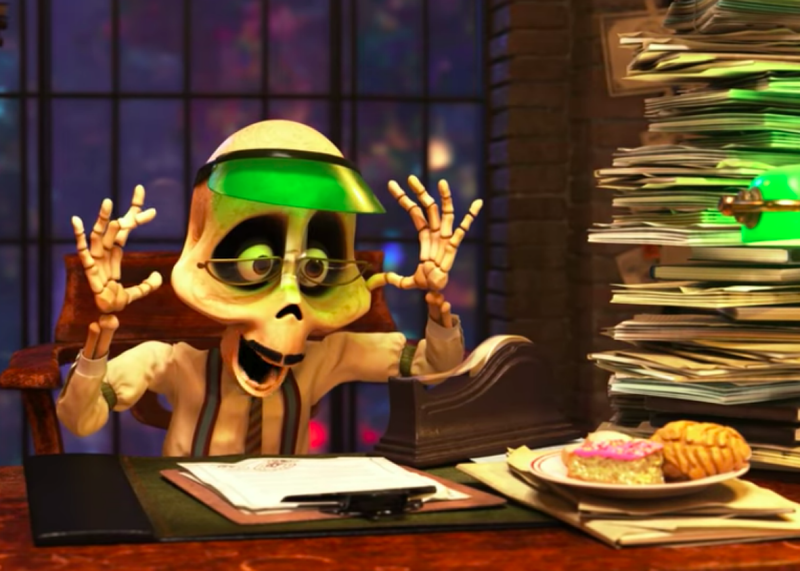 If you’re unfamiliar with Día de Muertos, a Mexican holiday dedicated to the remembrance of loved ones who have passed away, the idea that Pixar would create a kids’ movie around it, no matter how charming it turned out to be, might sound odd. 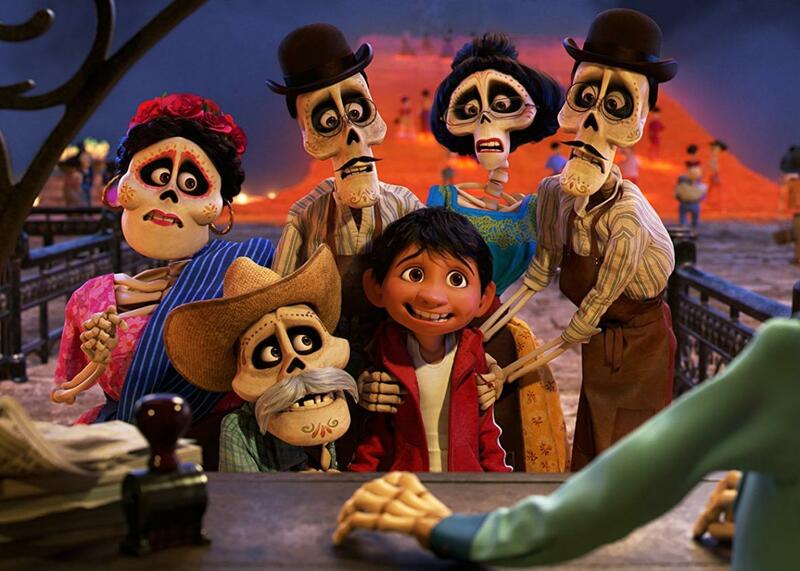 But Miguel’s transformative adventure into the Land of the Dead in Coco aligns quite well with Mexican culture, which instills the rich traditions of the celebrations in us from an early age: In the weeks leading up to Nov. 1 and 2 (one day is dedicated to the spirits of children, and the other to adults), students at elementary and middle schools are asked to write calaveritas, cheeky poems dedicated to someone who is still alive, imagining a silly or meaningful way in which they might die. It sounds morbid, but it’s a rather fun and common practice—as a kid, I wrote many of them about my teachers. The national media indulges in it, too, as TV shows and newspapers publish calaveritas about celebrities and politicians. They denote the sarcastic relationship Mexicans have with death beyond the more ceremonial aspects of the holiday: If we can laugh about it, maybe the pain of loss won’t resonate so strongly. While this and other practices are absent from Coco, the ones the film does interpret are vastly more authentic and carefully researched than most American depictions of Mexicans or Latinos in film and TV have been in the past. Below, a guide to a few of the cultural references. At the center of the Día de Muertos celebrations are ofrendas or altars, which are the physical manifestation of the link between living and dead. As seen in Coco, it’s the task of those alive to honor the dead, to tribute those who are no longer here and ensure they are not forgotten. Ofrendas vary from one household to the next, and in Mexico, schools, offices, museums, and other public spaces put their spin on the mystical displays. There are altars built upon two levels, constructed in stair-like fashion, which are meant to represent heaven and earth. Others might feature three levels representing heaven, earth, and purgatory, or, in more strict religious households, it can also represent the holy trinity. Still other versions consist of seven levels, each of them representing one of the seven stages the soul has to pass through in order to achieve eternal peace. Basic items typically displayed on the ofrendas include: Water, candles, flowers, sugar skulls, the dearly departed’s photos, their favorite meal. The hope is to guide and feed our loved ones’ souls as they venture in their journey to the other side. 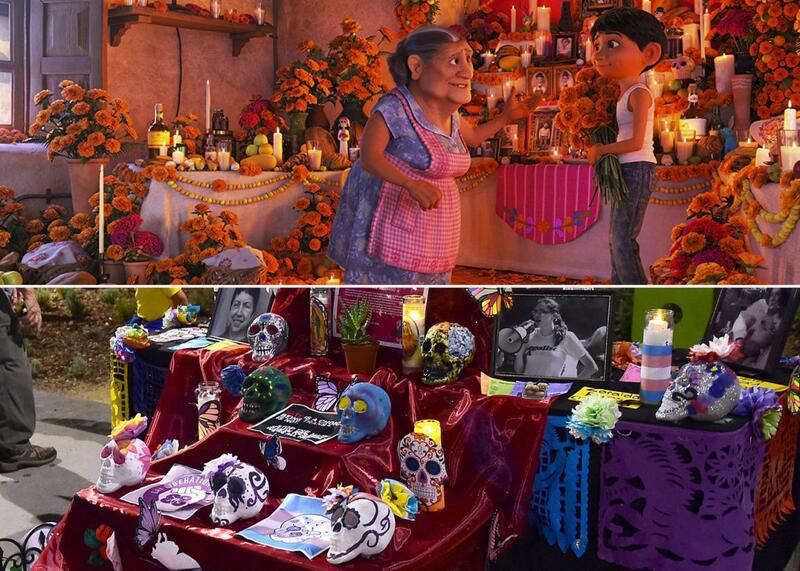 The ofrenda in Coco and a real-life traditional Mexican celebration of ‘Noche de Ofrenda’ (Night of the Altars). Images by Frederic J. Brown/Getty Images and Disney. Presented in Coco as spirit animals, alebrijes, fantastical creatures made out of paper maché or carved from wood, are not specifically associated with Día de Muertos in Mexican culture. Yet the creators of the film decided to used them in that context because of their vibrant colors, otherworldly nature, and their Mexican origins. 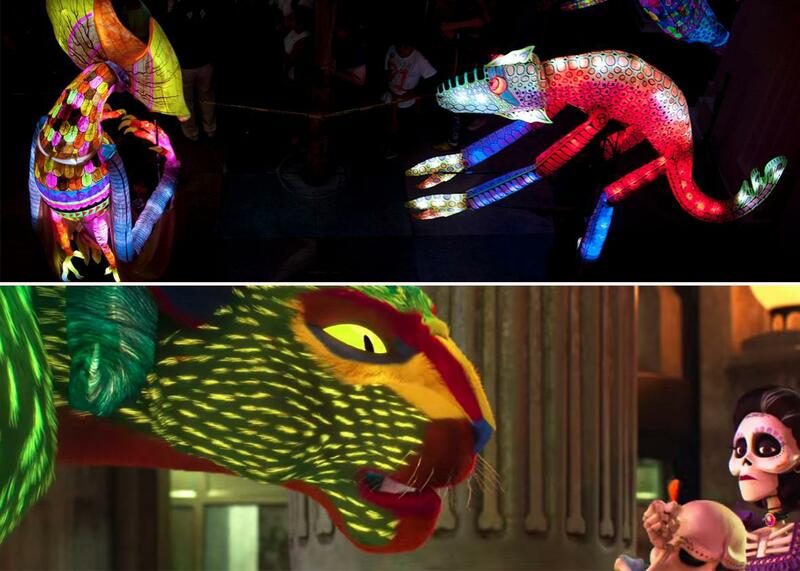 Artist Pedro Linares created the first alebrijes and coined their name in the 1930s, inspired by his peculiar dreams. As Linares recalled before his death in 1992, the creatures of his dreams were “ugly and terrifying” and he initially crafted them as such, to little fanfare. Only after he started painting them in vibrant colors did they become a commodity. Eventually, his work drew the interest of many, including Diego Rivera and Frida Kahlo. Today, alebrijes are made by artisans in different regions of Mexico and sold as art in street markets. Dante, Miguel’s dog, was the perfect choice to serve as the boy’s guide into the underworld. Xoloitzcuintli, a Mexican hairless dog breed, were believed by indigenous civilizations to be spiritual protectors. 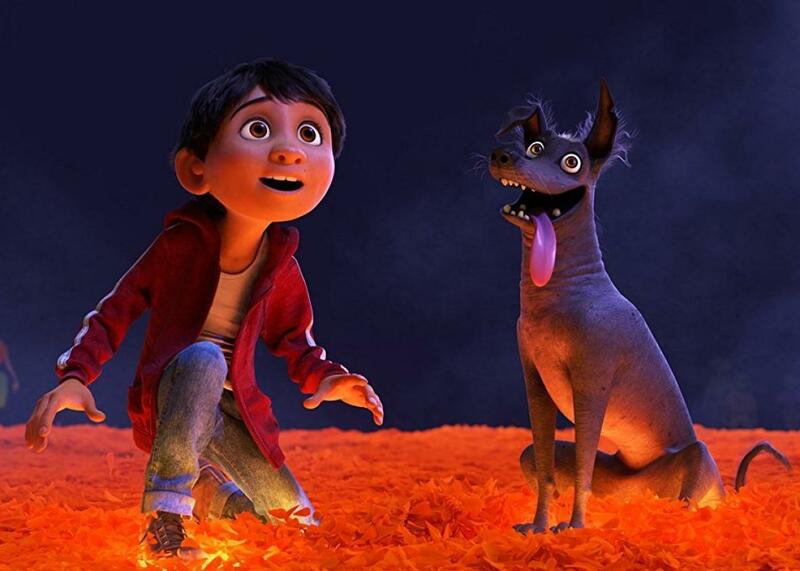 As opposed to what some outlets have erroneously reported, and Dante’s portrayal in Coco, however, Xolo are not street dogs; they are highly valued and priced. In Aztec mythology, Xoloitzcuintlis were sacred entities with agency among the living and in the land of the dead, which is why, even after transforming into an alejibre in the Land of the Dead, Dante is seen again as a normal dog in the land of the living. Fun fact: Diego Rivera and Frida Kahlo had Xoloitzcuintlis as pets and even put them in their paintings. 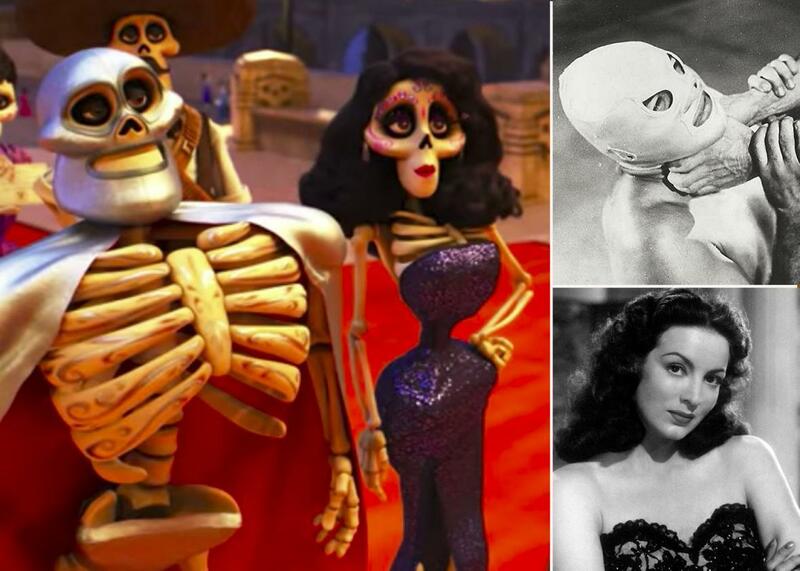 The spirit of Frida Kahlo is the most internationally known real-life figure to appear in Coco, but there are other significant cameos that may have gone over the heads of many viewers. El Santo, a famous lucha libre wrestler whose career spanned from the 1930s until he retired in 1982, and who also became a popular movie star, can be seen entering Ernesto de la Cruz’s party when the doorman asks for his autograph. Throughout his prolific film career, El Santo fought monsters, vampires, and mummies, and is considered one of Mexico’s greatest superheroes. Director Guillermo del Toro is a fan and has several pieces of memorabilia in his personal collection. A few more Mexican icons pop up during the Día de Muertos celebrations at Ernesto’s mansion. Actors Pedro Infante and Jorge Negrete inspired the character of Ernesto: They were leading men of Mexican cinema’s golden age, famous for both their melodramatic acting chops and their musical abilities, and De la Cruz is seen hugging them both during the party at his mansion. In that same montage, Cantinflas, one of Mexico’s most beloved comedians (and who appeared in the Best Picture winner Around the World in 80 Days), is also briefly seen wearing his signature paper hat, while Mexican movie actress and singer María Félix sports an exuberant dress and her gorgeous, unmistakable black hair. Images by © Disney, Santo el enmascarado de plata y Blue Demon contra los monstruos, and La diosa arrodillada. Check out the pan dulce on the public servant’s desk. 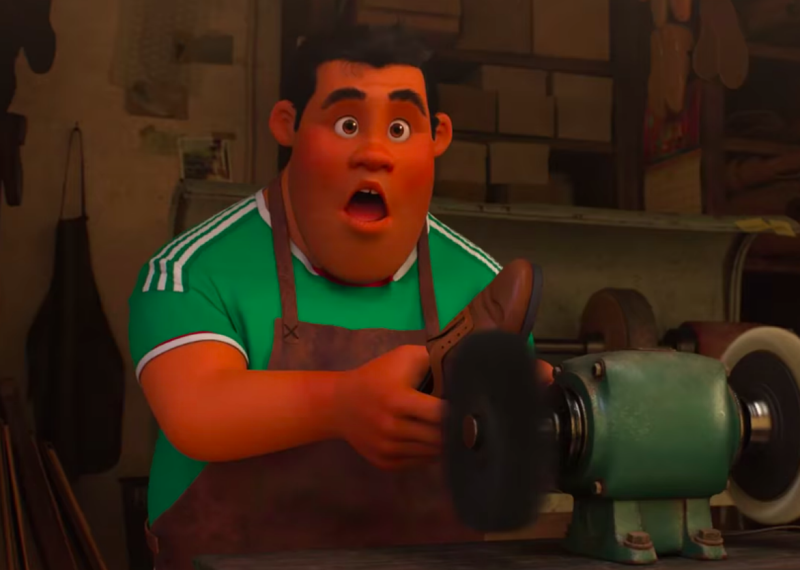 Another ostensibly minor, but charming, detail is Mexico’s national soccer team jersey that one of Miguel’s living relatives wears throughout the film. The green Adidas garment is immediately recognizable for most Mexicans and Latinos, regardless of how much interest you have in fútbol; they’re worn by Mexicans everywhere. Correction, Dec. 1, 2017: This post originally misstated that Día de los Muertos was a mistranslation of Day of the Dead. There is an ongoing debate among Spanish speakers as to whether it’s Día de Muertos or Día de los Muertos.